He studied Literature in Istanbul University and graduated in 2003. Since then, he has been working as a journalist in many newspapers and magazines. He is also writing plays since 1998 and taking backstage roles in theatres since 2002. He started attending the New Text New Theater Project in 2010 where he developed Stain, with which he won the 2011 Heidelberger Stückemarkts ‘Europäischen Autorenpreises‘ award. Stain was produced by GalataPerform in 2013 and since then it is still running in its repertoire. Ozbudak also got the Best Playwright Award at the Theater Awards in Istanbul in 2013 and the Afife Jale Award in 2014. He is also the author of Hayal-i Temsil, which has been on stage for 3 seasons in City Theatre. He was also one of the four playwrights involved in the “Testimonials” project based on Gezievents of Istanbul, coordinated by Yesim Ozsoy. 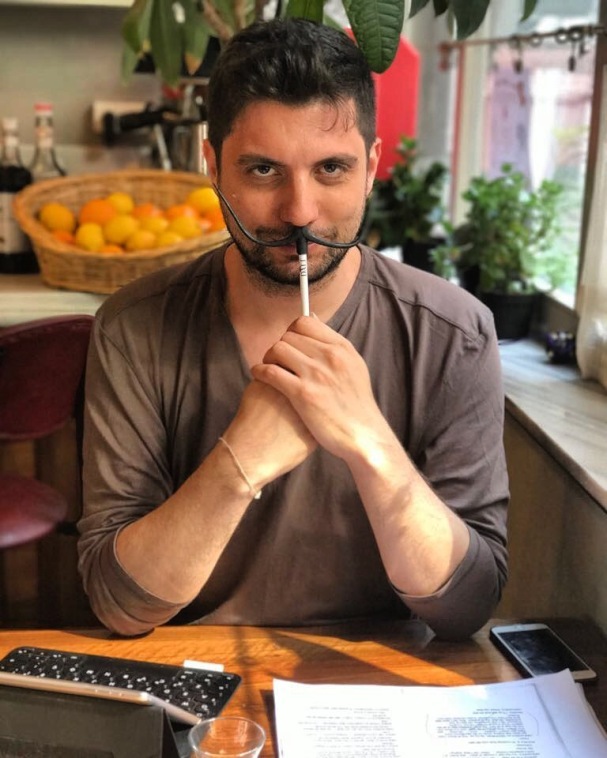 In 2016 he directed a site-specific project called The Monologue Museum of Balat, in which 7 different monologues were exhibited in 7 different chambers in the same building of the old, historical town of Balat, Istanbul. Sherlock Hamid written by Ahmet Sami is on stage since 2017 at the Bakirkoy City Theather. Finally, Anton Chekov’s The Seagull, adapted by Ahmet Sami Ozbudak, is now on stage within Theather Festival at the Zorlu Performance Hall. Stories, three different times, a house and 7 characters who have been guests of this house come together in this play written by Ahmet Sami Özbudak. Markiz and Eleni, two Greek/Turkish sisters residing in Istanbul, who had to leave their house during the riots of September 6-7th in 1955; a revolutionist communist, Ahmet, who had to take refuge and hide in the same house as the tenant of a migrant from the Blacksea region of Turkey in 1980, and a transvestite, Sevengül, and his lover, who live in the same house in the 2000s. All of these characters coexist in the same house all together. They all tell their stories and also talk about the stories that preside them. The house is a place of memory and identity where the traces of each era can be seen and experienced. Play available in English, German and Turkish.